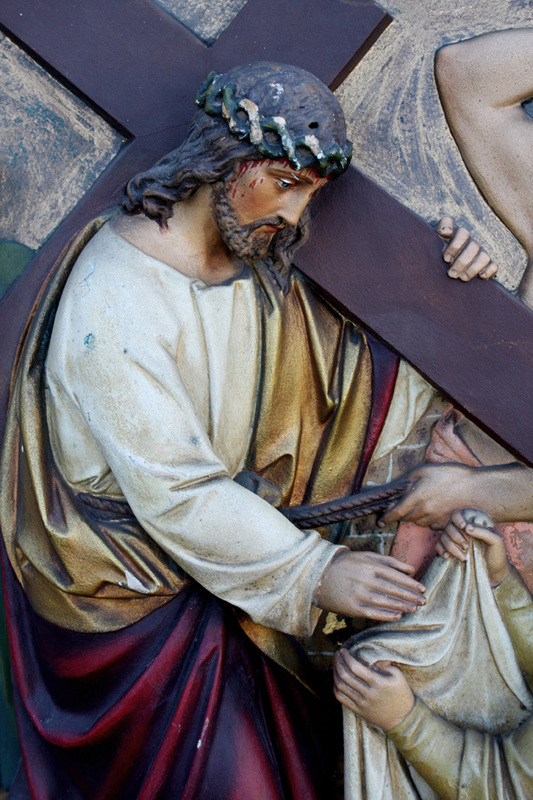 This came to us from a Church in Liverpool. C. 1870s. 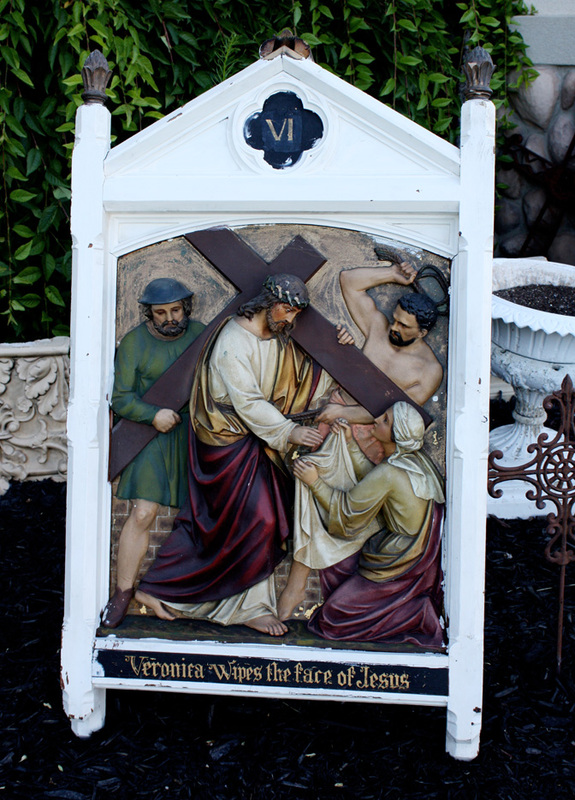 It depicts Veronica wiping the face of Jesus. 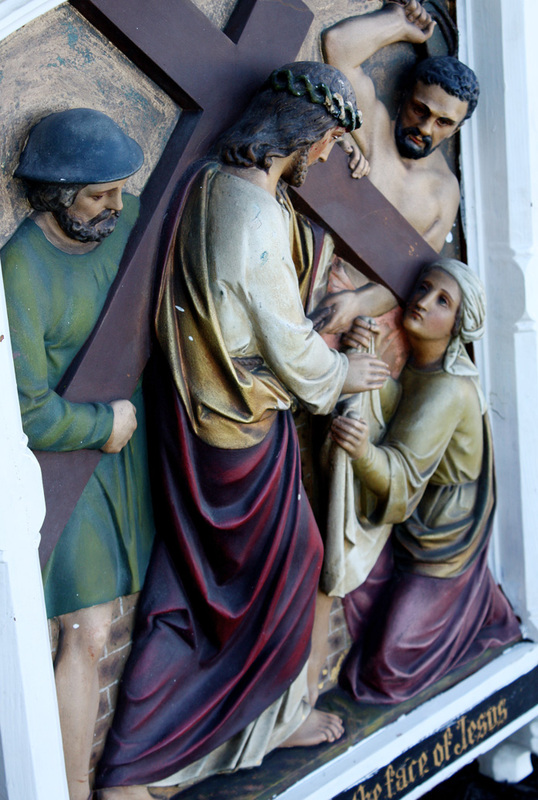 It is carved wood with a gesso overlay and original polychrome paint. The details are stunning and very acuratly captured. The top finial is broken, however could be easily removed and this piece is in excellent condition. We have other stations available from this same church, please contact us for more information.